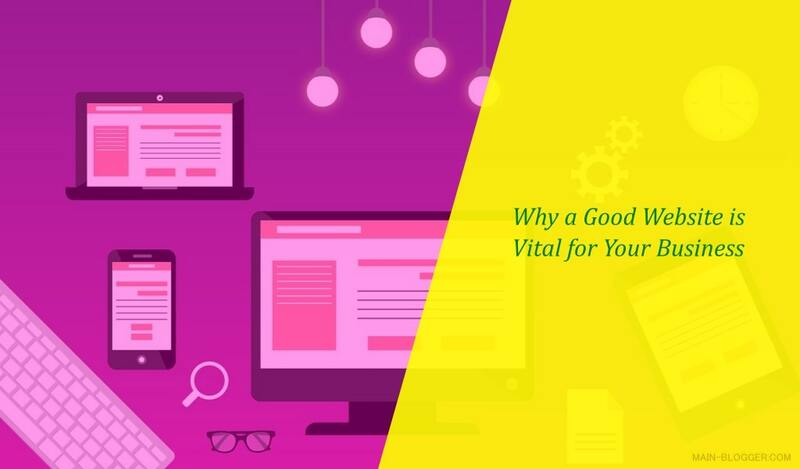 If you thought that your website was merely a nice feature or an add-on for your business, then it is time for you to think again. Many businesses fail as they do not acknowledge the importance of having a good company website, as this provides any online traffic with a window into your business in addition to the platform on which you can showcase your goods and services to an international and far-reaching audience. So, if you cannot remember the last time that you reviewed your corporate website, let alone added any content, then think again. Having an effective and well-maintained website is essential to ensure the longevity and success of your company. First, if you have a company website, then it could be time for you to conduct a thorough review to ensure that all of your keywords are up to date, content is still relevant and engaging, and not to mention, if any photos of previous colleagues or old products have been removed. Conducting a review is a quick, easy and ideal step if you are looking to make lasting improvements to your corporate site. You may come across parts of your site that are rarely visited or underperforming if you take the time to review your analytics. Once you have conducted a review of your company website, then you can begin to draw up a content plan and ensure that you are taking steps to improve your positioning. An effective corporate website and up-to-date and engaging social media channels is a winning combination for any business, but the reality is that very few companies can achieve both of these and obtain optimal results. To ensure that your website is promoting your business you will need to draw up an effective content strategy, one which draws upon your social media presence. From blog posts to longer articles on your website and sharp and relevant social media posts that demonstrate your knowledge and market positioning, in addition to helping you stand out compared to your competitors, you can be as creative and daring as you like, as long as the content is relevant for your business needs! An effective content strategy can be promoted and repurposed on social media also, meaning that over time you will need to spend less time drawing up and creating new content. Don’t forget; you will also have to take the time to engage, comment and interact with your social media followers, to make sure that you stop any trolls and boost your online community followers. So, if you thought social media was for adolescents then think again! From Coca-Cola to Toyota and Nike, all big corporations are making the most of these platforms to gain quick wins and obtain new leads. To manage and run a successful website, then you are going to need to ensure that you set aside enough of your annual budget to invest and guarantee the growth of your site over time. Your website too will need some attention and finances to make sure that it is maintained, and you may also need to enlist the help of a digital agency to check your keywords and review your current SEO performance. If you are considering finance options, then companies such as Bonsai Finance offer a range of plans and options to help you invest in your corporate site. Once your site is up and running, you may also need to consider development costs and in-house resource in case you encounter any problems or you suffer a data breach or a cyber attack. So, it’s vital that you include your website development in your business plan and do factor in enough cash to keep your site up to date and fully functioning. Finally, if you are looking to run a professional and fully-functioning corporate site, then you will need to take the time to check that your branding is consistent and aligned on all of your website pages and social media platforms. First, view the site as a user would and check the colors and logos that you are using in every section of your website. If your message is not regularly updated, you are using out of date company colors, or your logo has not been altered on all of your website pages, then this will instantly be damaging your brand reputation and how your company is perceived. Poor, outdated and misused branding will drag your company down and impact how users and your clients interact and perceive your brand. So, failing to take care of your website branding and its use online will cost you and your company dearly. If you are trying to improve your company’s reputation, or feel that your current marketing efforts are not reaping the rewards or the number of leads that you are targeting, then this could be due to your corporate website. If you cannot remember the time that you last updated your website, or view it as an extra for your company, then think again. In fact, an effective and well-maintained corporate site is vital for the success and future growth of your business. Start by conducting a review of your current website and put yourself in the place of the site user. If there are areas that you feel are not meeting with your business needs or are failing to deliver your company message, then the chances are that a user will pick up on these also. Ensure that you plan and prepare a content strategy and link this to social media. Take time to consider the costs of running and keeping your website kept up to date. Finally, check your corporate branding on your website and check that it is up to date and consistent. Keeping your website kept up to date and running smoothly takes time, effort and energy, but the hard work and attention will pay off over time as you obtain new customers, improve your online presence and gain new leads.